OPEL 1211273, 90369031. VAUXHALL 1211273, 90369031. GENERAL MOTORS 90369031. OPEL SENATOR A (29_) 3.0 Saloon Petrol 09/1985 08/1987 RWD 12 156 115. OPEL SENATOR B (V88) 2.5 i (P19) Saloon Petrol 09/1990 09/1993 RWD 12 140 103. OPEL 1212220, 90006547. CHEVROLET 90006547. VAUXHALL 90006547. OPEL SENATOR A (29_) 2.5 E Saloon Petrol 09/1984 08/1987 RWD 12 140 103. OPEL SENATOR A (29_) 3.0 Saloon Petrol 09/1985 08/1987 RWD 12 156 115. Vehicles fitted with Bosch distributor requiring the 47140S rotor arm. ® moulded red rotor arm. Designed with new resin technology to ensure improved performance and durability and with an internal steel spring clip for an extra secure fit, this rotor arm really is the finishing touch to your ignition upgrade. GENERAL MOTORS 90369031. OPEL 1211273. OPEL SENATOR A (29_) 3.0 Saloon Petrol 09/1985 08/1987 RWD 12 156 115. OPEL SENATOR B (V88) 2.5 i (P19) Saloon Petrol 09/1990 09/1993 RWD 12 140 103. OPEL SENATOR B (V88) 2.6 i (P19) Saloon Petrol 09/1990 09/1993 RWD 12 150 110. OPEL 1212214, 1212220, 90006547. VAUXHALL 1212220, 90006547. OPEL SENATOR A (29_) 2.5 E Saloon Petrol 01/1983 08/1984 RWD 12 136 100. OPEL SENATOR A (29_) 2.5 E Saloon Petrol 09/1984 08/1987 RWD 12 140 103. GENERAL MOTORS 3469032. OPEL 1211250. OPEL SENATOR A (29_) 2.5 E Saloon Petrol 09/1984 08/1987 RWD 12 140 103. OPEL SENATOR A (29_) 2.5 E Saloon Petrol 01/1983 08/1984 RWD 12 136 100. OPEL SENATOR A (29_) 3.0 Saloon Petrol 09/1985 08/1987 RWD 12 156 115. PORSCHE 93060290201. OPEL 1212220, 90006547. OPEL SENATOR A (29_) 2.5 E Saloon Petrol 09/1984 08/1987 RWD 12 140 103. OPEL SENATOR A (29_) 3.0 Saloon Petrol 09/1985 08/1987 RWD 12 156 115. OPEL SENATOR A (29_) 3.0 E Saloon Petrol 02/1978 12/1986 RWD 12 180 132. OPEL 1211250, 1212141, 3469032, 7992979. VAUXHALL 1211250, 1212141, 3469032, 7992979. GENERAL MOTORS 3469032. OPEL SENATOR A (29_) 2.5 E Saloon Petrol 01/1983 08/1984 RWD 12 136 100. OPEL SENATOR A (29_) 2.5 E Saloon Petrol 09/1984 08/1987 RWD 12 140 103. New Old Stock - Please Ask All Questions Before Purchase - Please check our parts and compatibility carefully. This information is taken from eBay and may be incomplete or incorrect so ask if unsure. --- PLEASE PROVIDE A VALID VEHICLE REG SO WE CAN CHECK OUR SYSTEM THROUGHLY --- Please note image is Generic. More images on demand. - Various brands stocked - We can not guarantee Quinton Hazell brand. - If unsure of suitablility please contact us before purchase. - No guarantee. No labour claims. GENERAL MOTORS 90140536. OPEL 1212214. OPEL SENATOR A (29_) 2.5 E Saloon Petrol 01/1983 08/1984 RWD 12 136 100. OPEL SENATOR A (29_) 2.5 E Saloon Petrol 09/1984 08/1987 RWD 12 140 103. OPEL SENATOR A (29_) 3.0 E Saloon Petrol 02/1978 12/1986 RWD 12 180 132. OPEL 1211252, 1211265, 1211267, 3469033, 90187242, 90348450, 90350748, 94632558. VAUXHALL 1211252, 1211265, 1211267, 3469033, 90187242, 90348450, 90350748, 94632558. OPEL SENATOR A (29_) 2.2 E Saloon Petrol 11/1984 08/1987 RWD 8 115 85. For Bosch Distributors. So if you do have any problems you know we’ll sort it. Banks Transfer. Credit / Debit Cards. Ford 1498738. Jaguar JLM838. Ford A740X12276DA. Holden GB798. Any information in the compatibility table is for reference only and there may be unspecified choice options. Labour claims & consequential loss claims are never accepted. Engine Code: AR 01932. Engine Code: AR 01928. OPEL 1211252 1211265 1211267. OPEL SENATOR A (29_) 2.2 E Saloon Petrol 11/1984 08/1987 RWD 8 115 85. VAUXHALL SENATOR 2.0 E Saloon Petrol 03/1983 10/1984 RWD 8 115 85. VAUXHALL SENATOR 2.2 E Saloon Petrol 11/1984 08/1987 RWD 8 115 85. Distributor Cap XD278 CI. OPEL 1211273 90369031. Part Number XD278. VAUXHALL 1211273 90369031. C.I. XD278. GENERAL MOTORS 90369031. 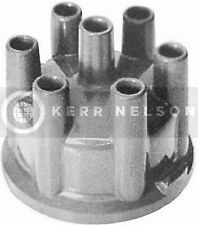 Function Distributor Cap. Height 88 mm. 08930212 with screw 90108078. CLAMP FOR DISTRIBUTOR -CIH engines. Manta, Cavalier Mk 1, all CIH engines. Opel Monza, Vauxhall Royale, Opel/Vauxhall Senator 1978-87, Senator B 1987-94 2.6, 3.0 12v, 3.0 24v, Carlton Mk 1 & 2 2.0, Carlton Mk 3 2.6, 3.0, 3.0 24v. GENERAL MOTORS 90369031. OPEL 1211273. Part Number 44021. Type Distributor Cap. 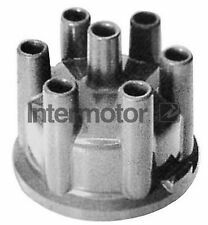 Function Distributor Cap. Number of Inlets / Outlets 7. Chassis number from: L1000001. VAUXHALL SENATOR Mk II (B) (V88) 3.0 Saloon Petrol 01/1988 09/1990 RWD 12 177 130. Function Rotor, distributor. Resistance 1 kOhm. Engine Code: AR 01911 KAT. Engine Code: AR 01911; Model year from: 02/1986. Model year to: 12/1989; Transmission Type: Automatic Transmission; Engine number to: 0115025; or; Model year to: 12/1989; Transmission Type: Manual Transmission; Engine number to: 0115025; or; Model year to: 12/1989; Transmission Type: Manual Transmission; Engine number from: 0115026; or; Model year to: 12/1989; Chassis no. Spark Plug Tools. Number of Inlets / Outlets7. DIY Car Service Parts. Denso Glow Plugs. NGK Glow Plugs. Glow Plugs. Lucas Glow Plugs. for manufacturerBosch. Distributors and Independent Repairers alike recognise this pedigree. Number of Inlets / Outlets7. Spark Plug Tools. Glow Plugs. Spark Plugs. DIY Car Service Parts. Delphi Glow Plugs. Champion Glow Plugs. Genuine Intermotor Product. UK Seller! BMW 12111271657 12111355626 12111359706 12111363292 12111363422. Distributor Cap XD105 CI. Part Number XD105. C.I. XD105. Function Distributor Cap. RELIANT SCIMITAR Station Wagon 2.8 GTE Estate Petrol 01/1980 12/1986 RWD 12 135 99. Engine Code: C 20 XE | for manufacturer: Bosch. Engine Code: 16 SV | Manufactured After: 9/ 1989 | Manufactured Before: 8/ 1991 | for manufacturer: Bosch | Chassis no. from: L2500001 | Chassis no. from: L5000001 | Chassis no. FORD 5001071 5001075 5004919 A740X12276AA A740X12276BA A780X12276EA. Part Number 44220. Type Distributor Cap. 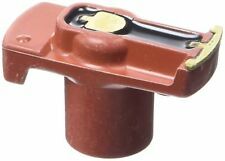 Function Distributor Cap. Number of Inlets / Outlets 5. Chassis number to: K1999999, Chassis number to: K5999999, Chassis number to: KV999999. A Distributor consists of a rotating arm or rotor, inside a distributor cap. We apologise in advance for any inconvenience caused. Part Number 47140S. FORD 6075742 81SF12200FA. BMW 12111707263. Type Rotor Arm. Distributor/ Rotor Interference Suppression. Function Rotor, distributor. RELIANT SCIMITAR Station Wagon 2.8 GTE Estate Petrol 01/1980 12/1986 RWD 12 135 99. Spark Plug Tools. Number of Inlets / Outlets7. DIY Car Service Parts. Bosch Glow Plugs. NGK Glow Plugs. Glow Plugs. Lucas Glow Plugs. for manufacturerBosch. VW LT28-50 Bus (281-363) 197504 - 199606. VW LT28-50 Box (281-363) 197504 - 199606. VW LT28-50 Flatbed / Chassis (281-363) 197504 - 199606. VW LT 40-55 I Box (291-512) 197504 - 199606. PORSCHE 911 Targa 196411 - 199011. Part_NumberZM015 / 0040401015. The ignition module, also known as the switching unit, is used to regulate the current and dwell angle for transistor ignition systems using a hall sensor or inductive sensor. Mirror Heads, Housing & Motors. Belt Tensioner Wheels & Bkts. Suspension Ball Joints. JP GROUP,FEBI,VIEROL,Or-Equivalent. Rear Lights. Distributor Cap. Front Exhausts Cats. Estimates can be provided beforehand but prices may differ upon ordering. Mirror Heads, Housing & Motors. Belt Tensioner Wheels & Bkts. Suspension Ball Joints. Rear Lights. Distributor Cap. Front Exhausts Cats. Estimates can be provided beforehand but prices may differ upon ordering. Extra Info: Top Connector. We apologise in advance for any inconvenience caused. This is an original quality part manufactured by Bosch. Resistance:1 kOhm. Quantity Included:1.